Sometimes I just love to get a fresh-baked baguette and hunk of creamy brie for an afternoon snack…preferably with a glass of wine. My dad has always loved brie with bread, but I especially grew fond of this snack after doing an exchange to France in high school. I went to France with 16 other classmates in the middle of winter, flying first to Paris and then taking the TGV (super fast train) to our exchange town – Besançon. After our group got a little lost between the airport and the TGV station, we arrived very late at night. Our exchange families picked each of us up, and we were living the French life from there for the next week and a half. The very first thing we did on the very first morning was walk to the local bakery to pick up a baguette. At the time, I couldn’t fully appreciate the wonderfulness of that simple trip. I was tired and jet-lagged and wondering why we’d be waking up early just to get a loaf of bread. But that baguette was one of the best I’ve ever had in my entire lifetime…as was every other baguette enjoyed in France. I didn’t fully realize it at the time, but boy do I see that now! Is it that much better to have the real thing? In my opinion, yes. And though I can’t as easily (or if you want to be literal…at all) get French baguettes here in the states, there are some local bakeries who do a pretty good job. And as for the cheese, you can find French brie all over. Plus, many creameries make a nice brie. It’s just when you try to replicate the French baguette, it seems to be missing a certain je ne said quoi. 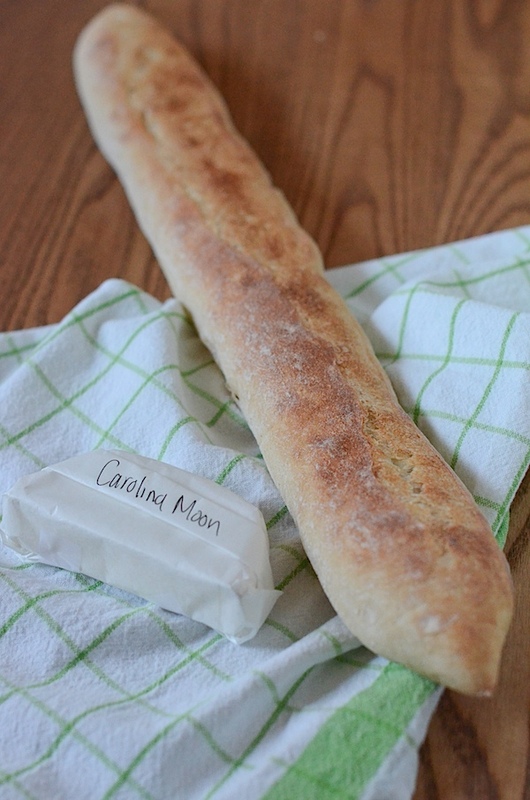 I recently picked up a baguette along with some North Carolina made brie, Carolina Moon, by Chapel Hill Creamery. I found both of these goodies at the 7th Street Market. 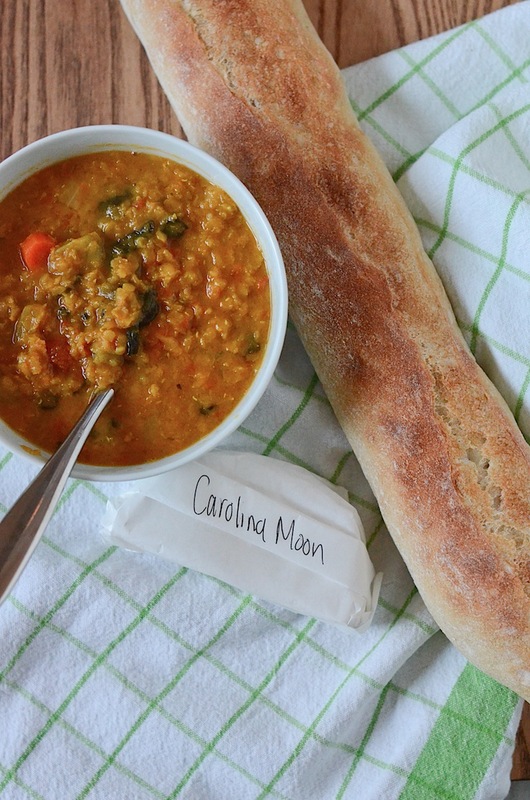 They were delicious straight up, as well as with some spiced red lentil soup. Yum! Hopefully, I’ll get to enjoy authentic French baguettes again one day. Till then, I’ll be hitting up my local bakeries for the next best thing.